Logic has been previewing Bobby Tarantino II with the release of a lot of new music lately. ‘44 More‘, ‘Overnight‘ and ‘Everyday‘ have all been building hype amongst the Ratt Pack but there’s been no word on when the rapper will deliver the mixtape. Until now. Logic takes to Instagram to announce, in spectacular fashion, that the new project will drop this Friday, March 9th. Rick and Morty actually helped reveal the date. You might remember that Logic made a cameo on the show last year. With the drop fast approaching (midnight tonight), Logic has taken to Instagram to officially unveil the album cover. While it has been circulating for a minute, this marks the first time it has been officially confirmed by the man himself. Plenty of references can be found throughout, including his wife Jessica Andrea playing the getaway driver. The Hattori Hanzo sword and general Death Proof aesthetic seem to represent the Tarantino universe without being overtly heavy handed; in fact, both the rollout and album cover have been A+ efforts for the Rubix Cube God. 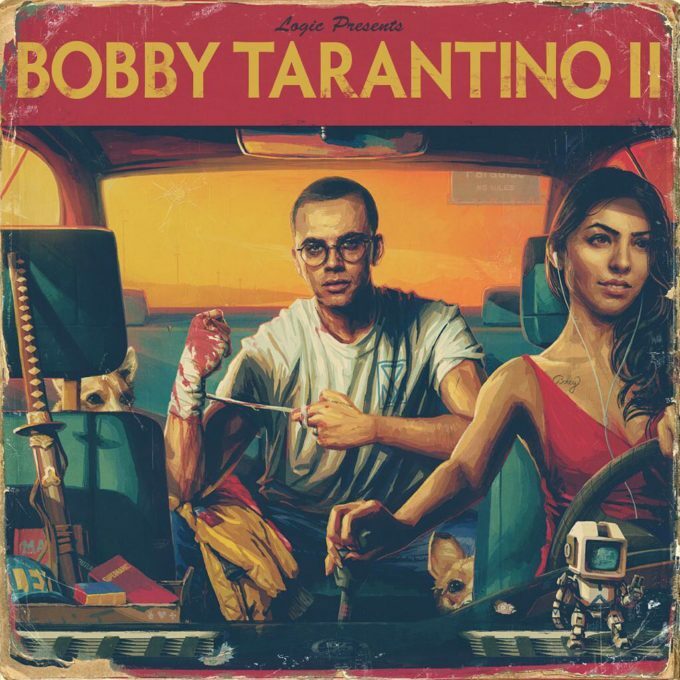 Stream Logic – Bobby Tarantino II Album Download Below! !